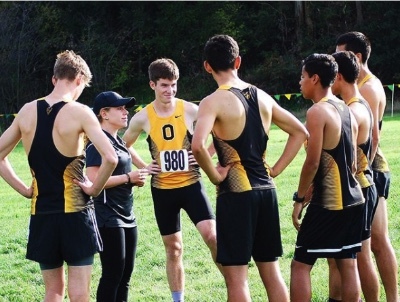 I caught up with Hillary Kigar, the coach of the Bishop O'Dowd's high school cross country team, for the January 16, 2018 Breakfast Club newsletter. A standout on the California prep scene in the late 2000s, Kigar ran for USF, where she led the Dons to their first conference championship and ran 16:57 in the 5K. Her sneaker game is also on point. Breakfast Club: “Thanks so much for taking the time to chat with us, Hillary! Tell us a bit about your background and your path into the sport. Hillary Kigar: I grew up in Sacramento and attended a public high school, which was where my running began. Before that I was always a soccer player. Freshman year of high school, one of my mom’s friends suggested that I try cross country as it would “help keep me in shape for soccer.” I tried it, liked it, won races, and my soccer days were done. Plus my parents loved that cross country and track were basically free. Compared to all the money they had been spending on my travel club soccer. And let’s be honest, cross country parents are WAY nicer than crazy soccer parents. Yikes. My high school teams were awful, I mostly ran with the boys and I still distinctly remember how awful they smelled—clearly they had not discovered deodorant. But I quickly got into it…scrolling Dyestat in the evenings (cross country/track high school stats website) and trying to learn as much as I could about the sport. HK: Correct. I wanted to go to the University of Washington really bad. My cousins had played hockey there and I had family in the area. At the time UW was consistently a top-10 NCAA team. I was being recruited and while I would have been lower on the totem pole, I was ready to work hard to earn a competing spot. Then, in January of my senior year, I was in a bad car accident. I was on the way to practice, about to do my long run which would have completed my first 50 mile week. As I was driving a Jeep ran a red light and hit my driver’s side. I was really lucky to live, though my body was pretty banged up. All of my injuries healed with time, though it meant that I didn’t have a senior track season... and UW was no longer interested. USF heard about what had happened and sent me several emails expressing how concerned they were and that they still were interested in having me be a part of the program. That was huge and showed me the quality of the coaches and staff. I decided to commit to USF and it was the best decision I could have made. My time at USF, especially time spent on the team was incredible. I can 100% say that I am grateful for that Jeep intervening in my life to make sure that I ended up in the right place as a Don. BC: Now you’re a coach at Bishop O’Dowd! What do you find most exciting about coaching high school cross-country? HK: As a “no cut” sport we get such an array of kids who are out there for all different reasons. Some to make friends, some because their parents made them, some who were always good at running when they played another sport….etc. One of my favorite parts about the sport is when a high school kid goes from being a “kid who runs” to a “runner." They start asking questions that shows they are thinking about the sport. They make decisions in their life that show running has become a priority. They might not be that fast. But who they are has changed a little. Their identity has changed. And likely it has changed for life. BC: What does the team competition in cross country look like from your perspective? HK: I remember when I was in college several of the Stanford cross country guys had an image tattooed on their right shoulder that looked like a mechanical wheel. It symbolized their belief in their team—that they were all part of a machine. The machine would not work, or win in their case, if it did not have each of the pieces operating at the highest level. It didn’t matter if it was the big bolt, or the washer, or the nut. Each piece was vital to the success of the team. This aspect of team competition is so fun as it promotes an atmosphere of positivity and overall encouragement. This ripples down to the lower levels. Not only does the Varsity team support each other through all 1-7 runners, but the young JV and frosh/sophomore folks have a special kind of pride and camaraderie while continuing to work up in the ranks. BC: Do you think high school running develops certain qualities better than other sports? HK: Running develops and cultivates a mental toughness that is hard to replicate through other team sports. Quite simply, distance running is hard and not always fun. 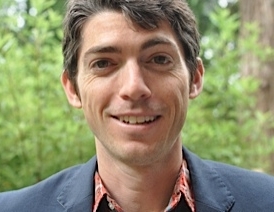 It is not a game and, unlike most sports, more than one team loses in a meet. To thrive in such a sport you have to be in love with the process, appreciate the monotony and crave the day-to-day grind. There is also a huge amount of accountability that isn’t present in other sports. No one is to blame but yourself for a less than positive race performance. Contrarily, your achievement is also in your hands: it is up to you to create your own success. HK: The biggest two lessons I try to teach my young athletes are: 1. Happy people run fast and 2. Know your "why." Ultimately, if you want to run fast, you need to be happy. I tell the kids that all the time and they roll their eyes, but it’s true...When you are happy you feel light. When you feel light, you run fast. Find the fun moments wherever you can, even when doing your regular old drills. 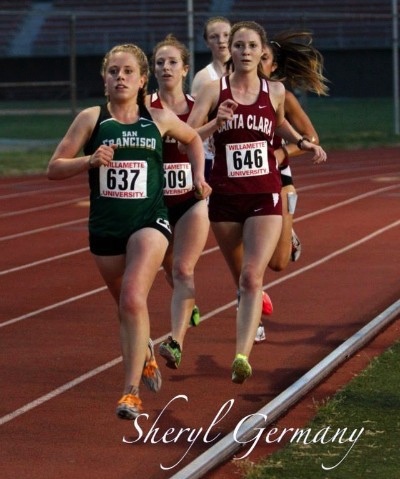 You can learn more about the Bishop O'Dowd track and cross program here. Read more interviews by subscribing to the Breakfast Club newsletter.